Product categories of Non-woven Fabric, we are specialized manufacturers from China, Non-woven Fabric, PP Non Woven Fabric suppliers/factory, wholesale high-quality products of PP Non Woven Fabric Roll R & D and manufacturing, we have the perfect after-sales service and technical support. Look forward to your cooperation! Non-woven Fabric is made of polypropylene(PP) and it is flame retardant, anti-aging, anti-static, antibacterial, hydrophilic and so on. It can be widely used in medical and health, agriculture, architecture, industry and so on. Width: 1.6m, 2.4m, 3.2m. Cut to any size according to customer requirements. 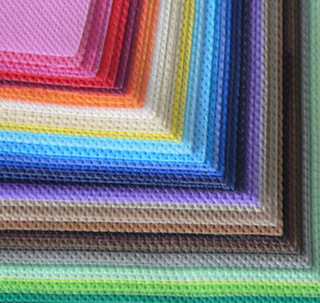 Color: according to customer requirements, any color. Agriculture: harvest cloth, cloth canopy. Packaging: composite cement bags, store bags, packing base lining. Home Lifestyle: wall cover, tea bags, shopping bags, curtains. Medical and health use: surgical gowns, protective clothing, masks, diapers, wipes, magic towels, beauty products and so on. Q1: Do you use filling material during the process of producing Nonwoven Fabric? Yes, we do. The percentage of filling material is decided by customers. 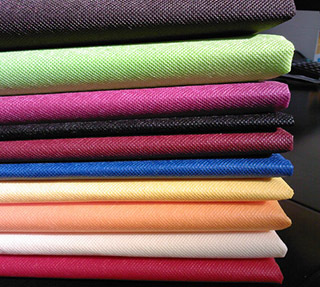 Also, we are able to offer nonwoven fabric without filling material. B: We are the factory so that we have the ability to carry out punctual demand. C: We can offer free sample for quality evaluation.